Who is visiting Santa soon? You totally need apparel for your little cutie and Feltman Brothers is amazing! I need to mention their entire line is superior quality products. Since 1916 they have basically cornered the market in embroidered awesomeness! I adore giving their items as gifts because I know how well made they are. Not your normal “run of the mill” items but back to the “old school” really great product lines. 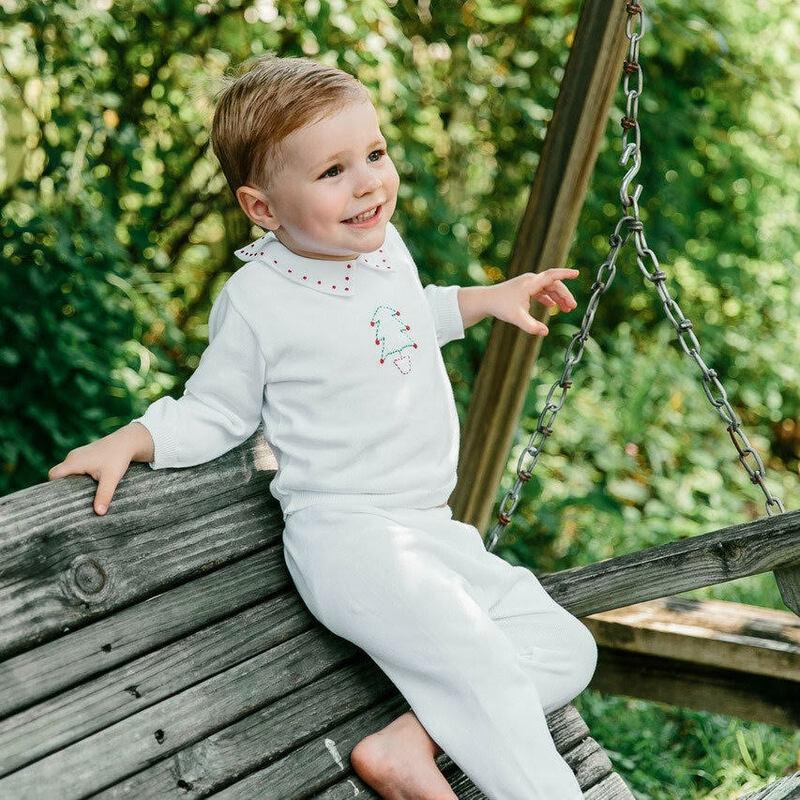 Their holiday line is a must on your list; these are really classic baby clothing needs to get your baby girl or boy ready for the holidays ahead! I happen to have the “holiday tree creeper” ($49.95) in my house and I am gifting it to my expectant niece next week! It is an adorable poly/cotton blend and really is perfect picture must! Your holiday card will be a step above the others! Please check out their entire line of fine children’s clothing. This is kiddie clothing at its finest. Pink Adidas gear… Comfy and cute!